Life is funny sometimes. In the departure lounge of Santa Rosa airport I snapchatted a video that I was on my way to Portland. By the time the plane had landed one and a half hours later, there was a message from one of my oldest friends Kathy. It turns out that Portland is only 20 minutes from where she lives and works in Washington State and she offered to pick us up from the airport and take us to lunch! Twenty head spinning minutes later there she is, picking us up from the airport. She and her family come to Portland quite a bit and she knows exactly where to take us. The Alberta area is a gorgeous hipster friendly area with great service, food artisans and just a generally welcome and gorgeous vibe. This whole area is very photogenic from the graffiti to murals. 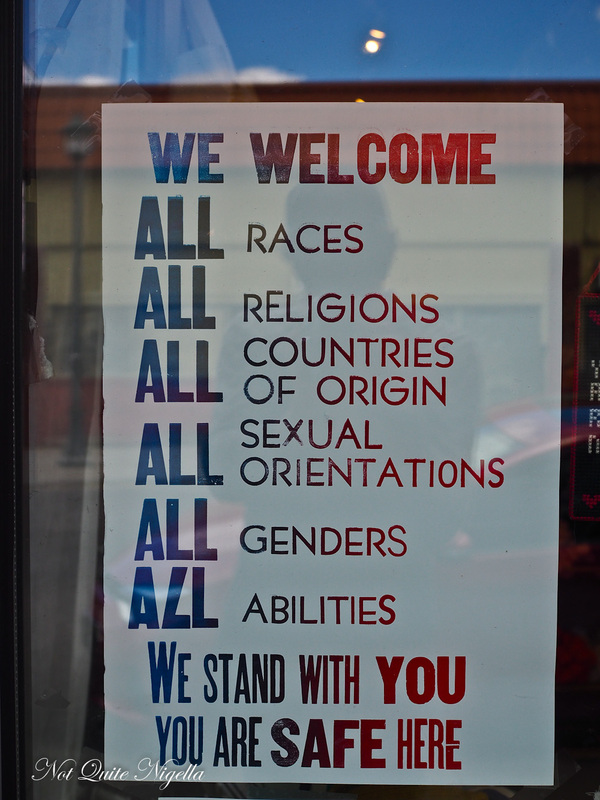 People and signs are friendly here. 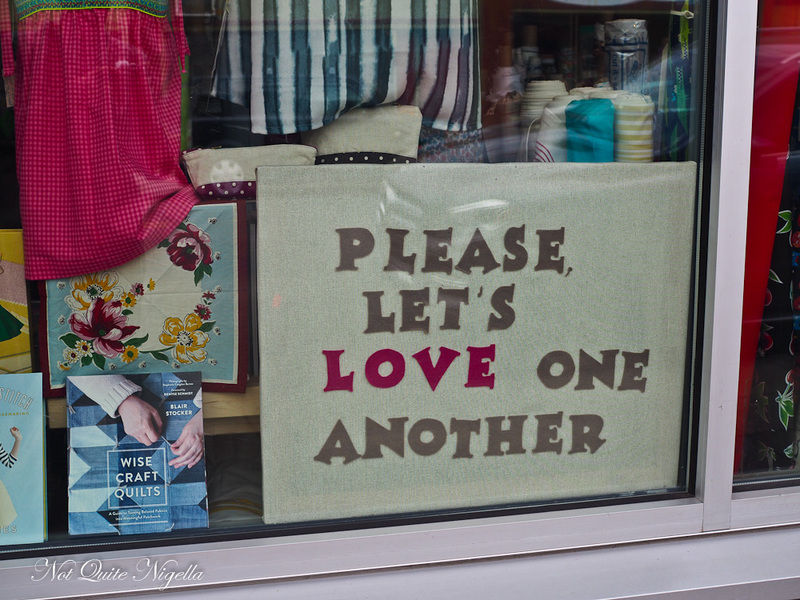 From cross stitched messages of welcome to the smiles at the food stores. 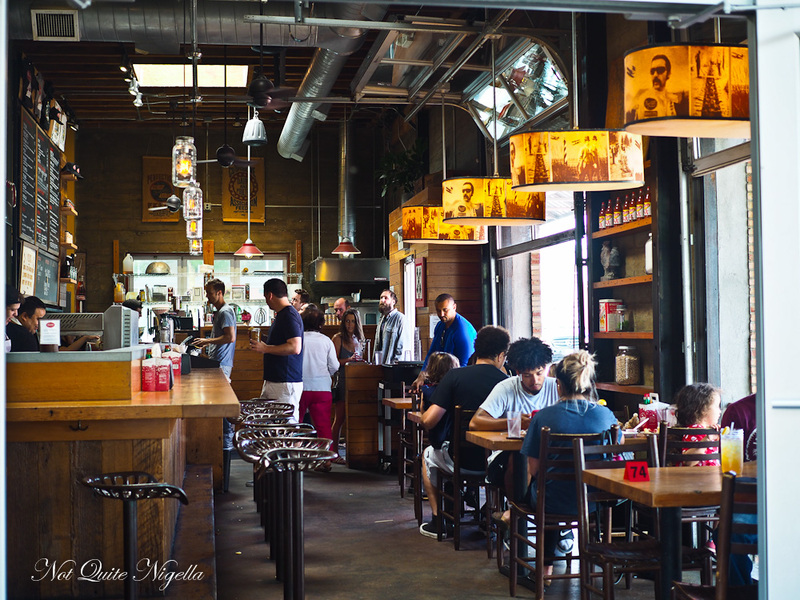 At Pine State Biscuits the sign asks people to order before sitting and to consider other people. Most of the biscuit sandwiches are filled with fried chicken although there are a few alternatives. 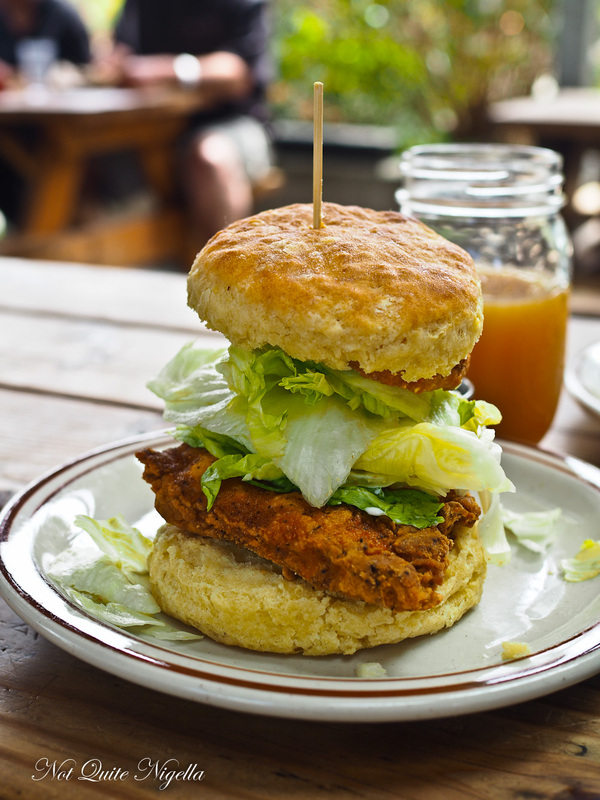 The most famous biscuit sandwich is the Reggie Deluxe. This is a biscuit sandwich (American biscuit, not British) filled with a fried chicken fillet, bacon, cheese, egg and gravy. And you know what? It's delicious. The biscuits prove to be a delicious and buttery alternative to the burger bun. 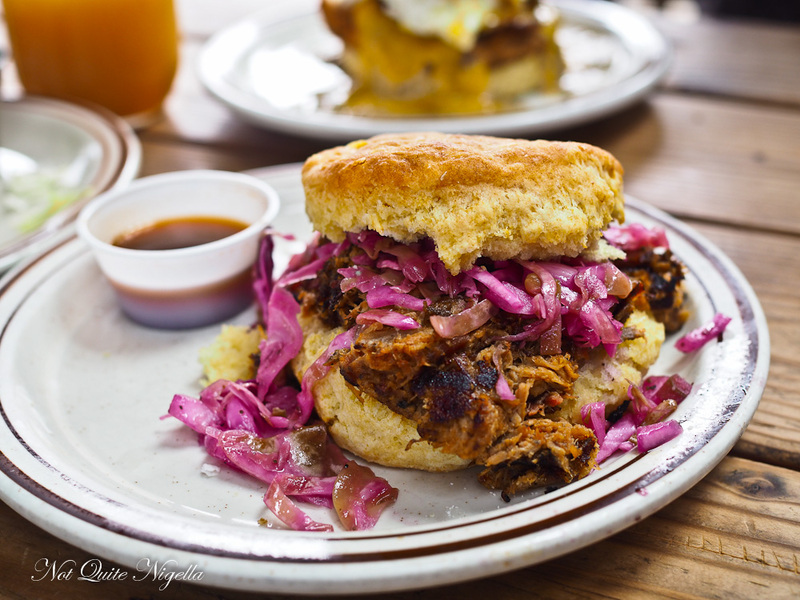 We also try the BBQ Biscuit, a smokey pulled pork biscuit sandwich with the reverends pulled pork with Carolina style barbecue sauce topped with house slaw. For dessert we head across the road to Salt and Straw ice cream. "Just to let you know, there are unlimited tastes," the friendly woman behind the counter says. "But what if I want to try ..everything?" I say with a slightly furrowed brow. You see I've been studying the menu for a good few minutes and I am no closer to deciding what I want to try (all of it) let alone what to order. With some gentle encouragement and patience (on her part) she recommends a few things although I'm pretty sure she would have been willing enough to give me tastes of everything even as a long line piled up behind us. 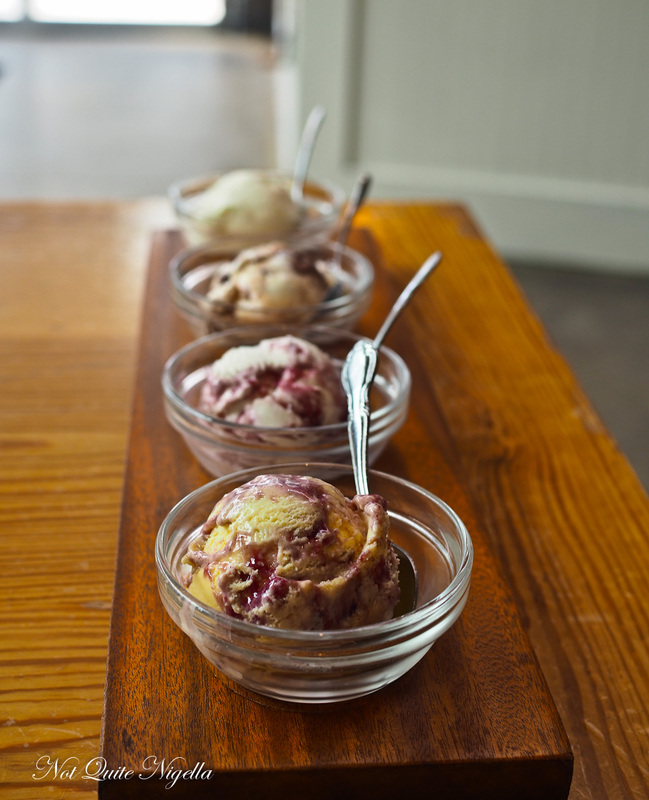 We try the ice cream flight, a selection of four ice creams. I choose 2 from the classic menu and 2 from the seasonal. The Arbequina olive oil ice cream is my absolute favourite, with just a perfect balance of sweet and salty. The other classic flavour is the Almond Brittle with Salted Ganache which has big, thick chunks of ganache. The seasonal flavours go more towards the fruity and there's an intriguing number with Portland Creamery's goat cheese, marionberry and habanero with just a tiny tingle towards the end as well as a light and refreshing Meyer lemon buttermilk with blueberries with a delightful tang. 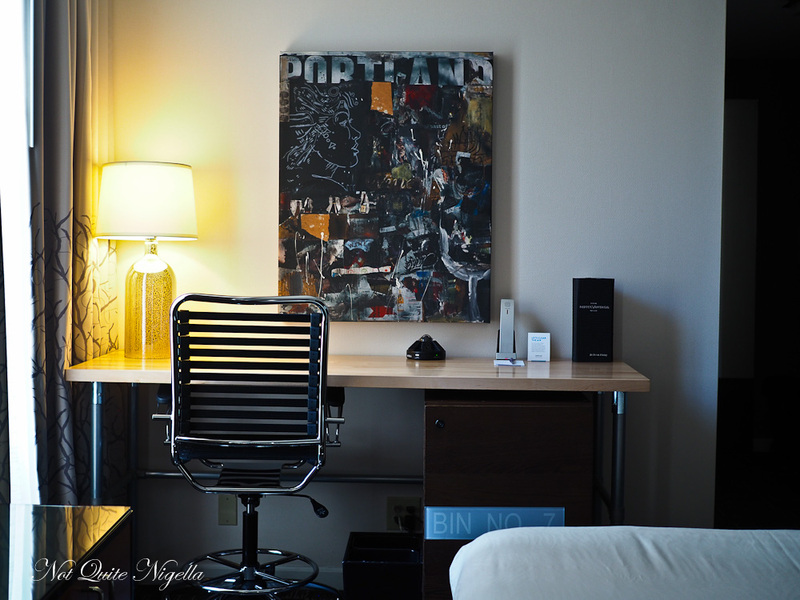 Our hotel for our stay in Portland is the Kimpton Vintage Hotel located on the corner of Washington and Broadway in downtown Portland. 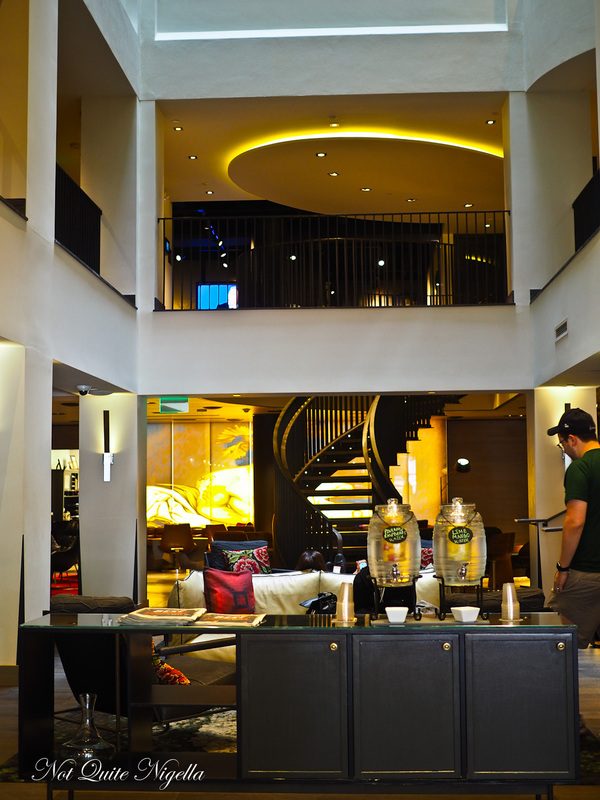 It's a gorgeous hotel with great service (although the porters could be more attentive). 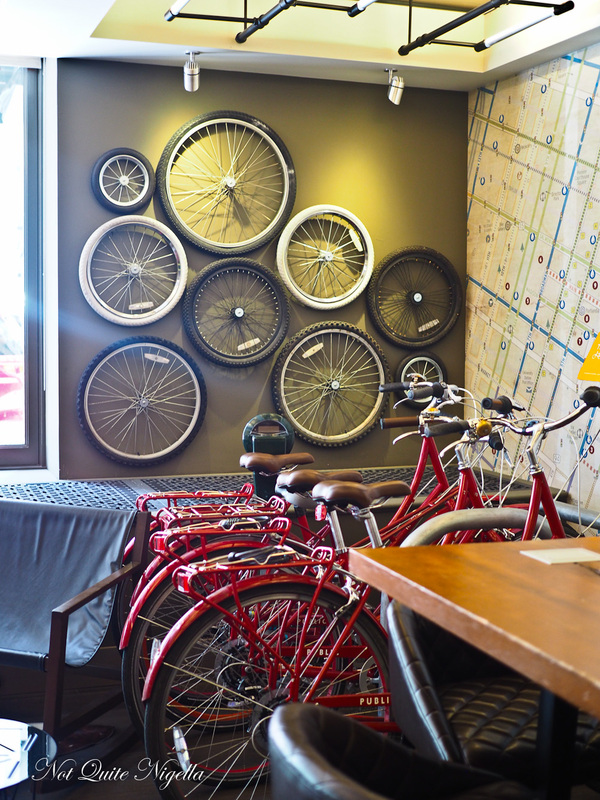 The sun filled lobby is welcoming and there are free bikes for people to ride. Each room in the hotel is named after a winery and ours is the Anne Amie room where there is a bottle of Anne Amie in the mini bar. We have a King Corner Reserve room which is 275 square feet large. 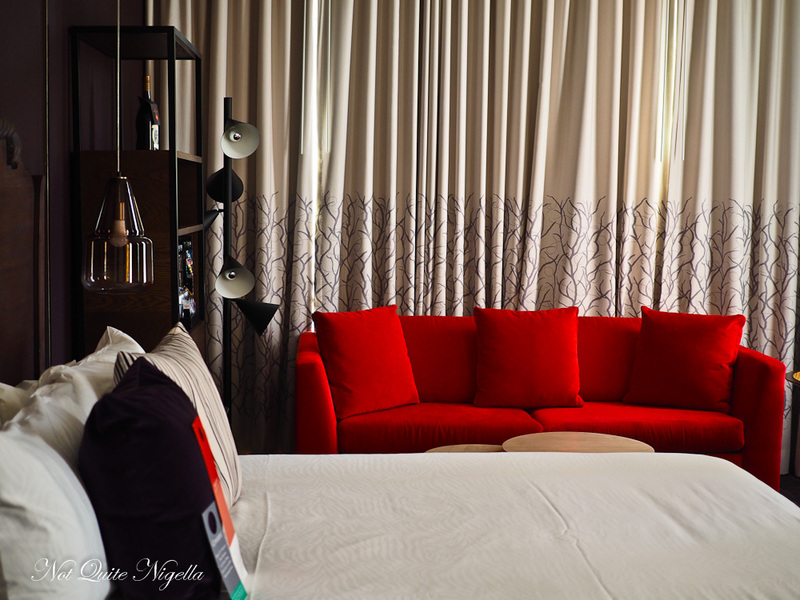 The furnishings are gorgeous and welcoming with a comfy red lounge (which Mr NQN promptly falls asleep on), king sized bed, 48 inch television and the work desk is a butcher block. 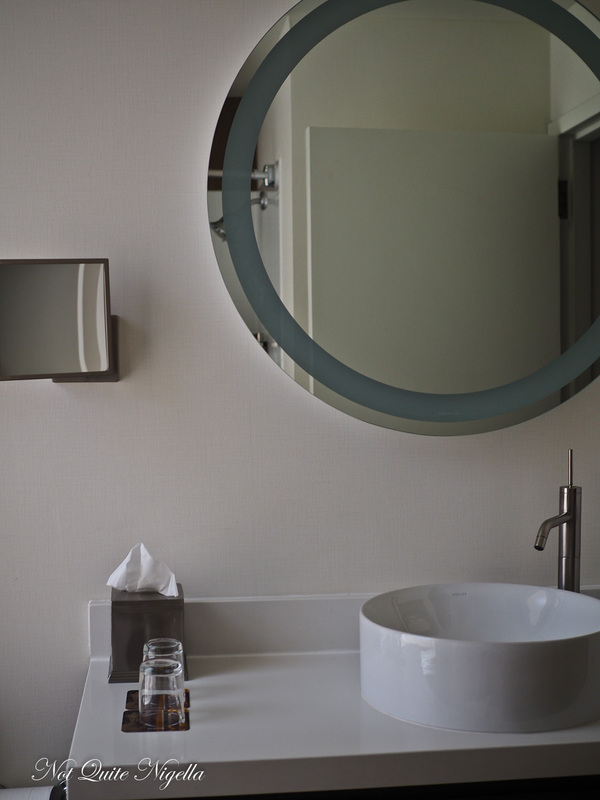 There are lots of smart little details like a rotary power pack with 6 plugs, USB chargers and extra plugs easily accessible by the bed. 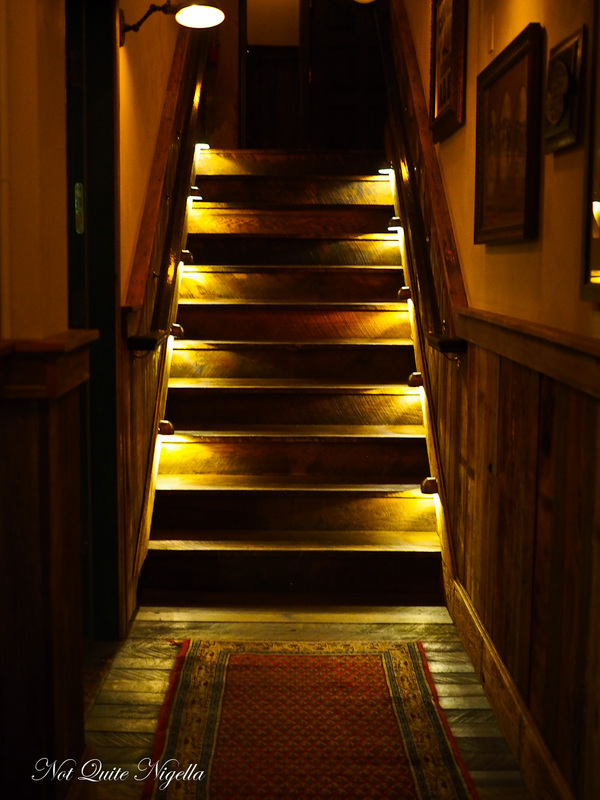 The corner room is fantastic too giving our room extra light and visibility. The bathroom is an all white affair with a bath and tub combo with full sized Atelier Bloem amenities from shampoo, conditioner, body wash, body lotion and a vanity kit. Other items can be ordered from housekeeping. Every evening there is a daily hosted social hour where guests are offered complimentary glasses of wine which is a nice way to start off the evening. 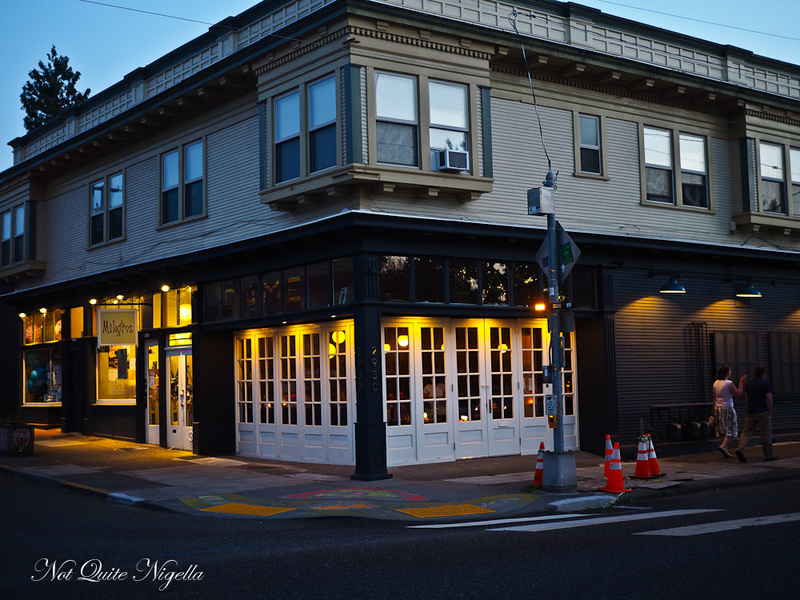 Dinner is a few minutes away in the North East neighbourhood on Killingsworth Street. 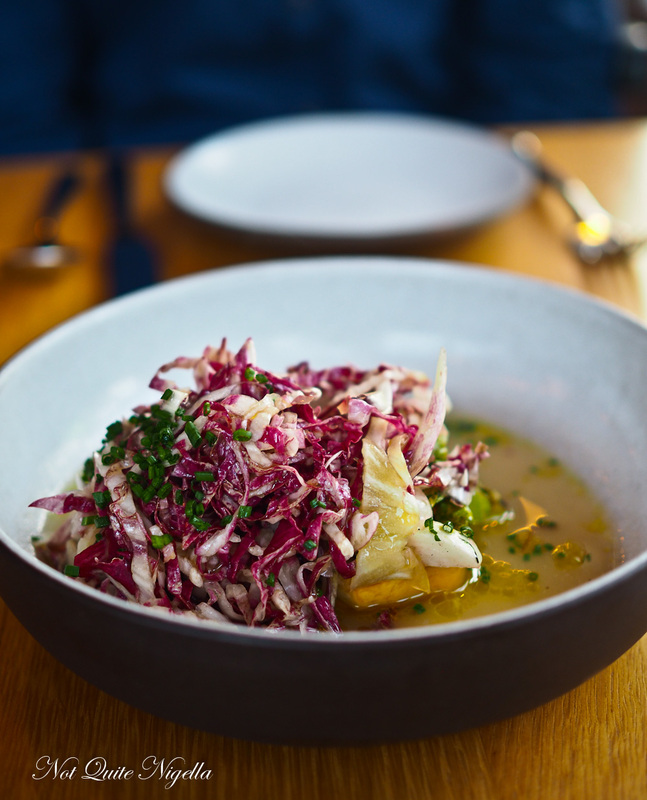 The menu changes daily a Dame, a restaurant focused on natural wines, vegetables and seafood or New American or Pacific North West fare as they describe it. Service is friendly from the all female floor team (I think I only noticed because of the name of the restaurant). I have to admit I'm the person that saw this dish at another table and had to order it because it looked so good. The heirloom carrots are split in half and then roasted but still crunchy. 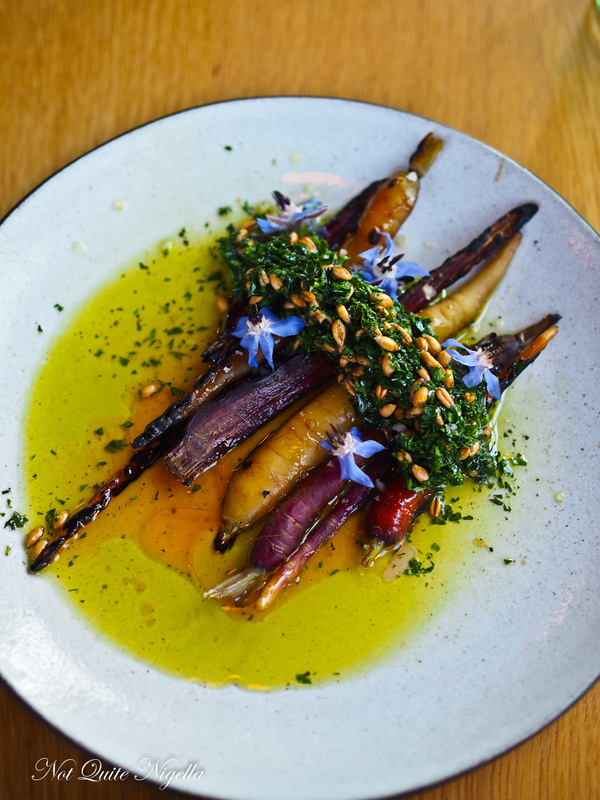 They're served with a fresh pine, farro and parsley topping with a vinegar olive oil dressing on top. I am really growing to like chicken hearts and their slightly bouncy texture. These have a wonderful flavour and texture and they're paired with discs of simmered or poached kohlrabi and a slice of king trumpet mushrooms - the texture of this mushroom mimics that of the chicken hearts. We ended up ordering some bread because of the delicious sauces in the two dishes above. 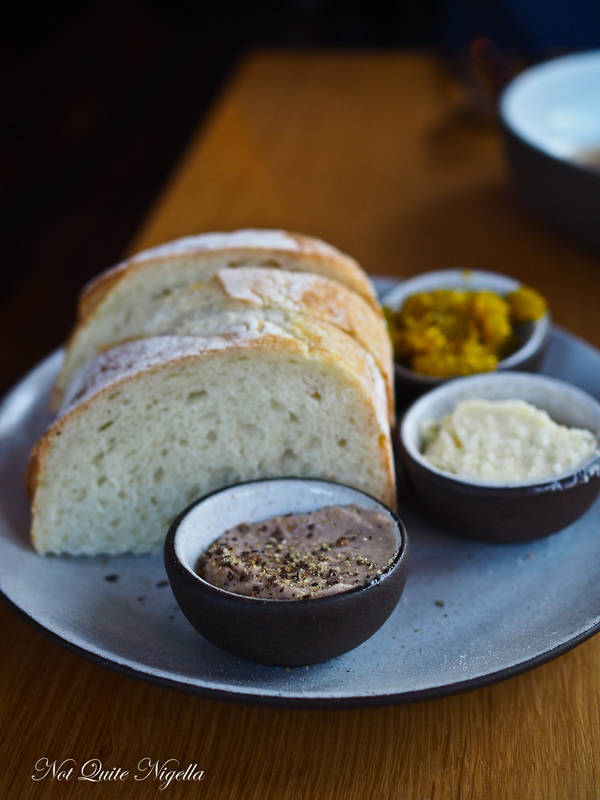 The sourdough is fabulous and I adore the accompaniments like anchoiade (anchovy aioli), pickled celery that reminds me of piccallili and salted, creamy butter. The summer squash dish is a bit of a surprise, only because I thought that the majority of the dish would be squash as it appears first on the menu. It's actually mostly radish and radicchio, a fine tangle of purple and white threads with three pieces of tender, squash, its sweetness enhanced by the bitterness of the radish and radicchio. This sits in a chicken broth so when they describe it as salad, it's not what we expect but not in a bad way. As we had eaten a lot that day we decide to share a main of mackerel. It's a whole fish but the bones are easy to negotiate around. It comes with a stem of celtuce, a vegetable prized more for the stalk. 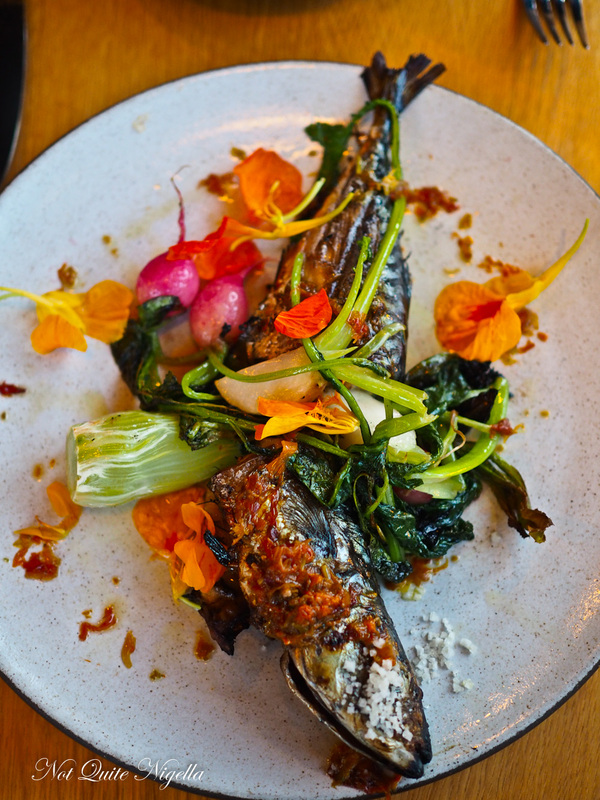 There's also radish and nasturtiums on the plate too and it's perfectly grilled bringing out the flavour of the strongly flavoured fish. 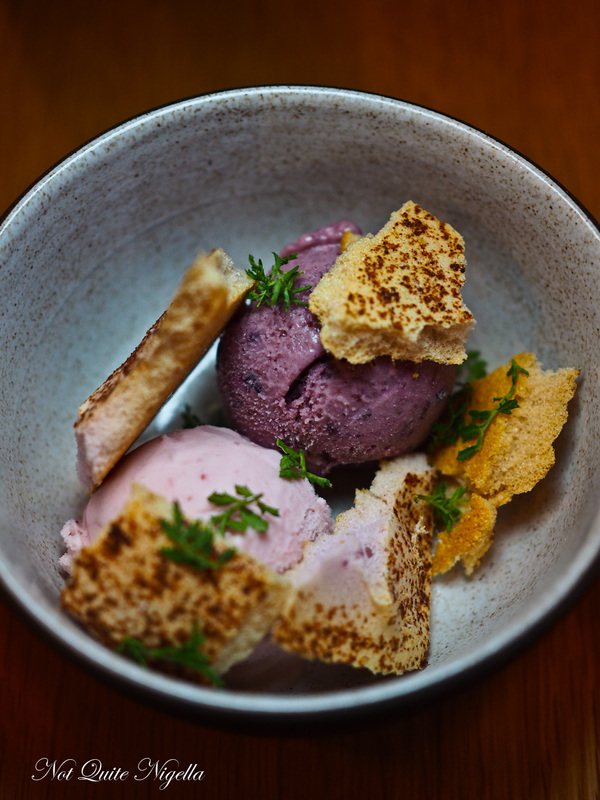 There are two scoops of ice cream on today's menu: a strawberry and blueberry buttermilk with meringues dusted in marionberry. The flavours remind me of a Scandinavian dessert and they're refreshing and not too sweet. 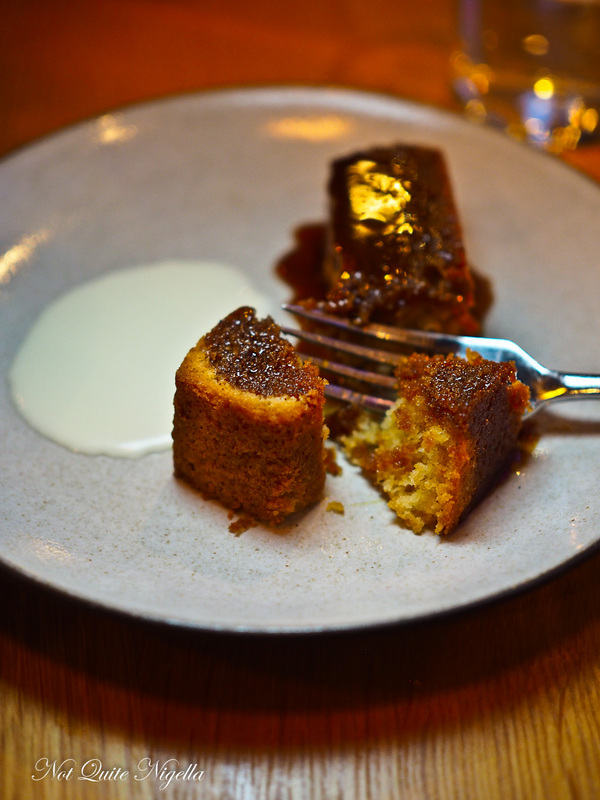 Meanwhile the butter almond cake is rich and sweet with a crunchy thin crust on the outside and a pour of amaro caramel on top with a little pool of sour cream. 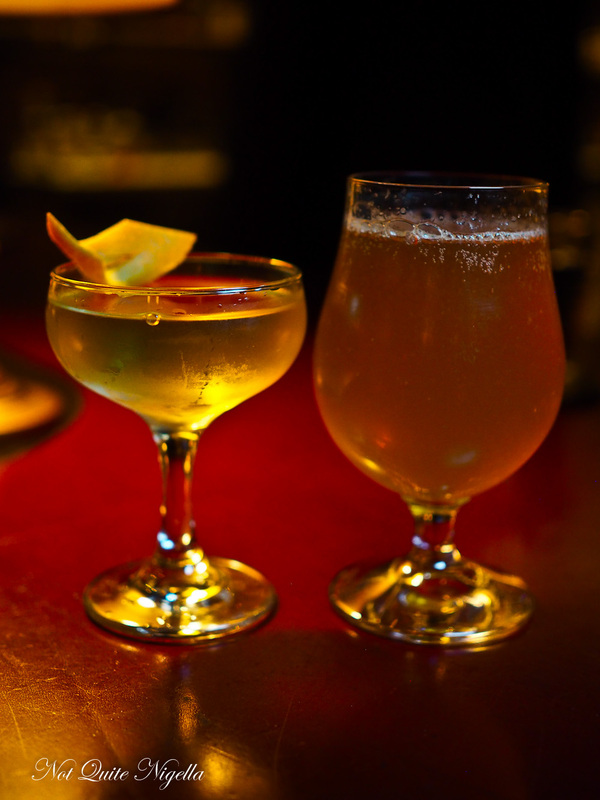 We catch an Uber back to downtown where we go to Multnomah Whisky Library. 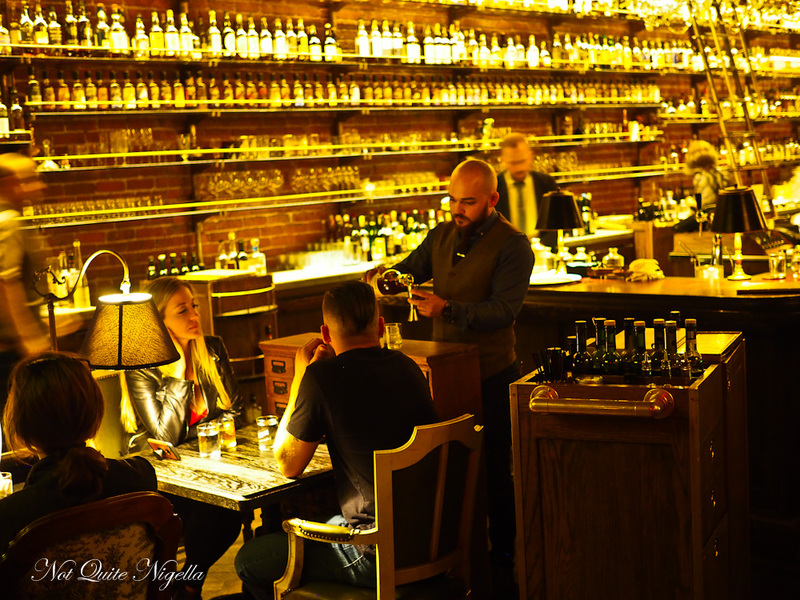 With over 1,000 whiskies it's a stunning and atmospheric place to visit. 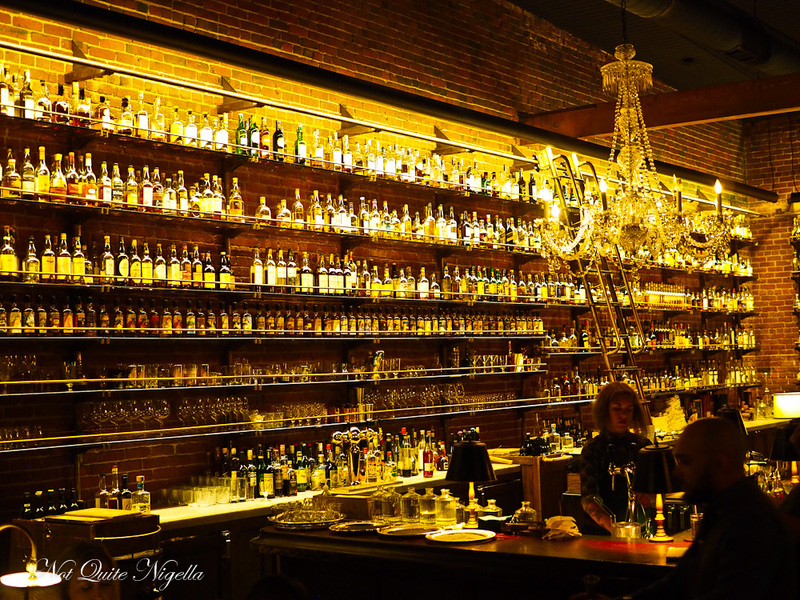 With its walls lined with illuminated bottles it is almost like venturing inside a movie set. However it can be very hard to nab a table. Members get preference and can book here or you can buy a one-off "hall pass" for $25 that allows you to make a reservation (which honestly seems a step a bit too far and I hope this doesn't become a trend where people have to pay to get a reservation). Most people either come very early when they open or they wait 2-3 hours in the downstairs Green Room bar. Memberships are $600 a year and they are currently not taking any more members. If you sit at the bar you can get cocktails mixed for you or if you are sitting at a table they bring around a rumbling wooden trolley cart and mix table side. The bartender is lovely but very busy and we leaf through the enormous book. There's also a small food selection available too. What is very nice about it is that they could fill the space up with more people but they don't. How very Portland. So tell me Dear Reader, do you ever have crazy travel moments? What was your latest serendipitous travel moment? And are you a member of any clubs? 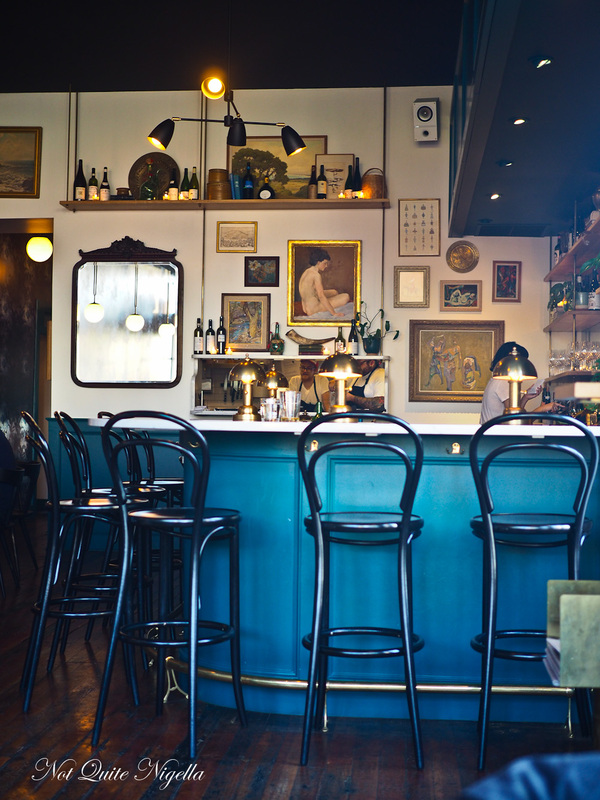 What do you think of buying a hall pass to get a reservation? NQN and Mr NQN were guests of Travel Portland but all opinions remain her own. 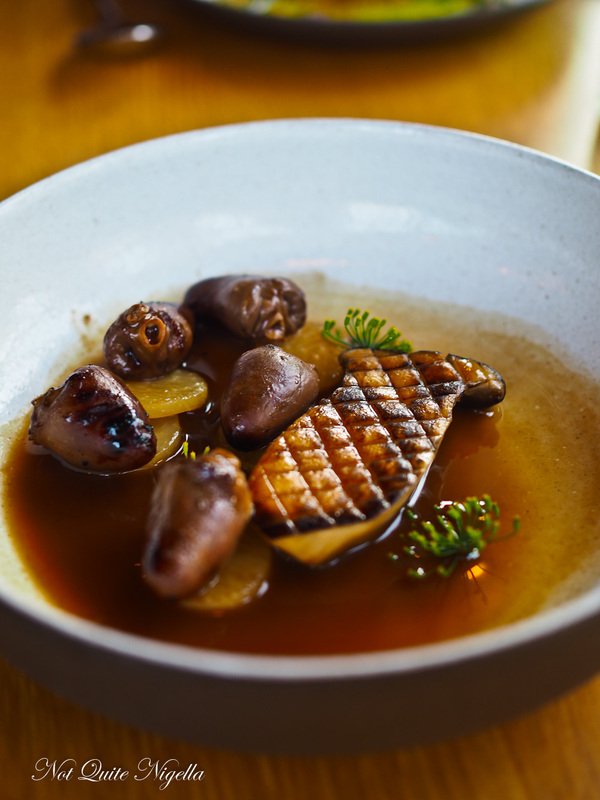 travel10 Foods To Hunt Down When You're in Portland! travelThe Delicious Food Carts of Portland! travel12 Fun & Delicious Reasons To Visit Chicago! 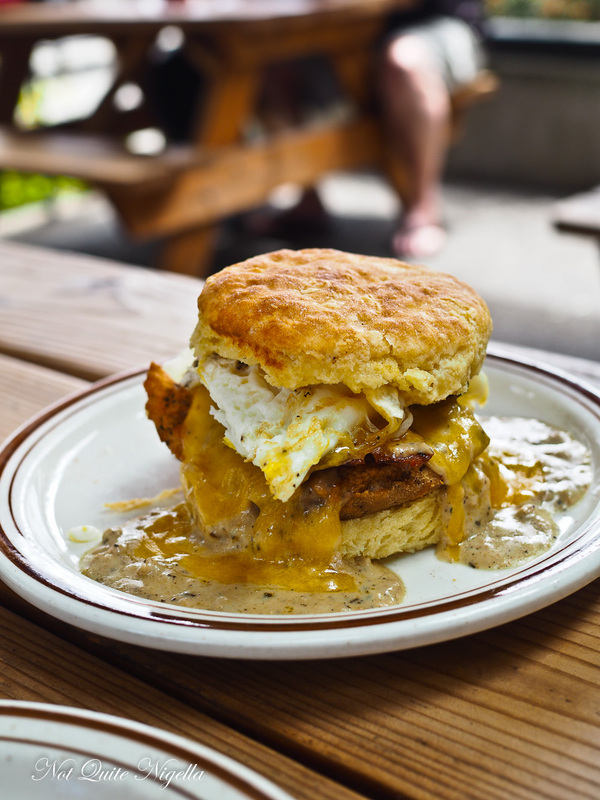 travel 10 Foods To Hunt Down When You're in Portland! 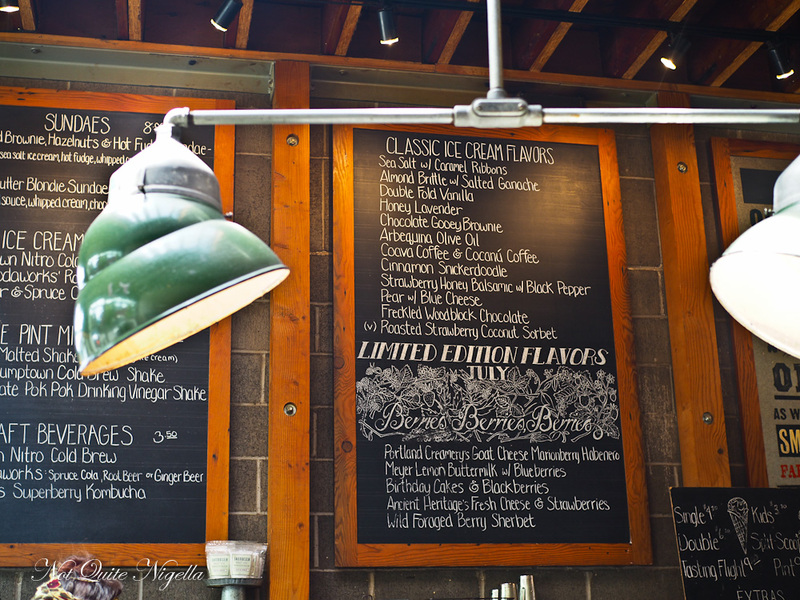 travel The Delicious Food Carts of Portland! 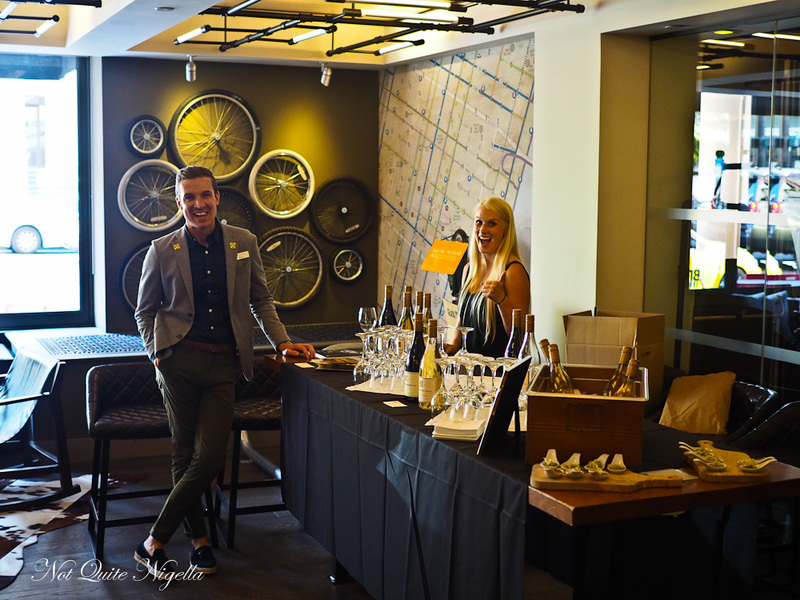 travel 12 Fun & Delicious Reasons To Visit Chicago!